With risks associated with reflux medication, known as proton pump inhibitors (PPIs), regularly hitting the headlines, many people turn to natural alternatives to alleviate their discomfort. Natural remedies are an attractive alternative based on the perception of their low risk of adverse effects. Our blog series on natural remedies takes a look at the alternatives some people use for relief from their symptoms of reflux, which include heartburn and indigestion, and look at whether there is any evidence to support the claims. In Part One we looked at Liquorice and Apple Cider Vinegar, Part Two covered Slippery Elm and Kefir and Part Three investigated Aloe Vera and Manuka Honey. In the fourth part of our series, let’s take a look at Ginger and Baking Soda. Ginger is the common name for the whole or cut underground stems (rhizome) of the Zingiber officinale plant. 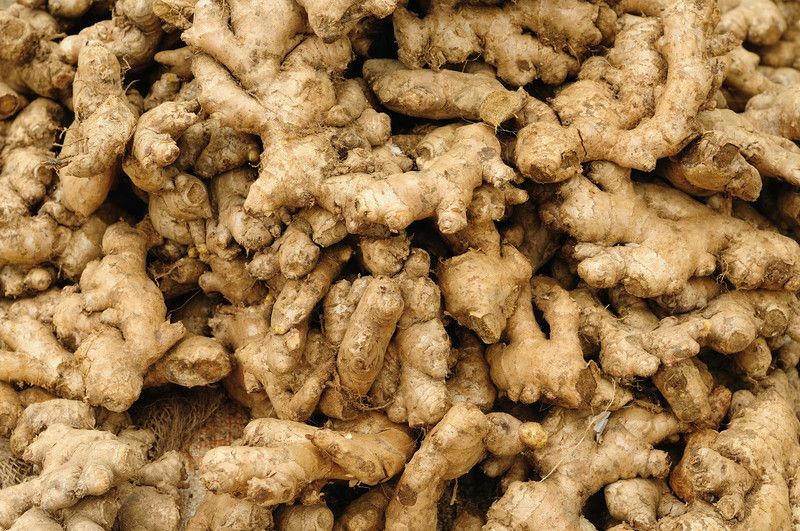 Typically, ginger is obtained by drying and powdering the rhizome. It is commonly used by people to help treat various types of digestive issues, such as morning sickness, nausea, heartburn, dyspepsia (indigestion) and irritable bowel syndrome. Some people drink ginger tea, eat ginger-flavoured foods or mix a ¼ teaspoon of ginger root powder into water. The exact way ginger acts on the stomach and digestive system is not fully known, but it is thought to work by blocking certain receptors for the hormone 5HT3, known as serotonin, which are involved in the contraction of the smooth muscles inside the stomach and gut. When serotonin attaches to these receptors it causes nausea and vomiting. It has also been suggested that ginger has anti-inflammatory properties, which may help relieve symptoms of reflux and relieve gastrointestinal irritation. It is also suggested that ginger improves upper gastrointestinal symptoms. According to the Committee on Herbal Medicinal Products (HMPC) at the European Medicines Agency, ginger can be used in adults to treat the symptoms of mild complaints affecting the stomach or gut (including bloating and flatulence). Ginger is also recognised by the US Food and Drug Administration as a food additive that is “generally recognized as safe”. In high doses, ginger may cause mild heartburn, irritation of the mouth, stomach upset, belching, and nausea. Several studies have found ginger to be effective in the prevention of nausea and vomiting. One study in 2008, also found that ginger effectively accelerated gastric emptying and stimulated antral contractions (speeding up emptying of the stomach and improving contractions in the antrum lower end of the stomach to prevent abdominal bloating, pain and nausea). There is little scientific evidence to show how ginger helps reflux disease. One study has claimed that the Traditional Chinese Medicine method of using the ginger-containing formula Wendan decoction is superior at reducing the symptoms of dry throat, heartburn and throat discomfort in patients to treatment by Omeprazole. Bicarbonate of soda, or baking soda, is an alkaline salt composed of sodium ions and bicarbonate ions. Some people swear dissolving a teaspoon of baking soda in cup of water to alleviate their reflux symptoms. It is often dissolved in water as a natural antacid remedy – relieving symptoms by neutralising the acidic contents of the stomach. 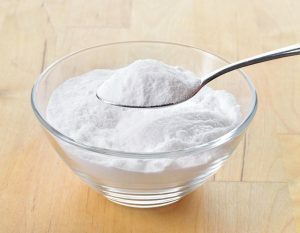 It is thought that baking soda mimics the same effects as natural sodium bicarbonate production in the body, helping to prevent stomach acid from backing up in the oesophagus and reducing the risk of long-term oesophageal damage. Side effects of consuming baking soda can include gas, nausea, increased thirst, headache and abdominal cramps. It should not be used it if you’re following a low-sodium diet. Sodium bicarbonate has been described as a quick-acting antacid that provides temporary relief for symptoms, including heartburn, indigestion and upset stomach. Alka-Seltzer, the well-known effervescent antacid and pain reliever, contains bicarbonate of soda. According to the NHS, sodium bicarbonate should no longer be prescribed alone for the relief of dyspepsia but it is present as an ingredient in many indigestion remedies. Without thorough scientific investigation, it isn’t really possible to say if natural remedies really work. It is important to see your doctor for a full discussion about supplements and medication, especially if you develop new or worsening symptoms. Natural remedies may interact with prescription and over-the-counter medicines.